Gibson Dunn | Vandevelde, Eric D.
Eric D. Vandevelde is a litigation partner in Gibson Dunn’s Los Angeles office and a member of its White Collar Defense & Investigations, Intellectual Property, Crisis Management, and Privacy & Cybersecurity Practice Groups. He is a former federal cybercrimes and major frauds prosecutor and an experienced trial and appellate attorney. Mr. Vandevelde has been repeatedly recognized as a “Rising Star” and “Super Lawyer” by Super Lawyers Magazine. Most recently, The Daily Journal named him to its 2018 list of the Top 20 Cyber/Artificial Intelligence Lawyers in California. Mr. Vandevelde’s practice focuses on white collar criminal and regulatory enforcement defense, internal investigations, and complex, technology-heavy civil litigation matters, often involving computer/software-related trade secrets, copyrights, patents, and other intellectual property. He has also represented clients in some of the highest-profile, highest stakes cases in the country concerning government and law enforcement demands for corporate data and assistance in connection with criminal and national security-related investigations. 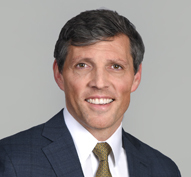 Mr. Vandevelde is one of the few lawyers in the country with both significant first-chair trial experience and a deep technical computer/software engineering background (having obtained a degree in Computer Science from Stanford University and worked as a software engineer in Silicon Valley and Latin America for several years before becoming a lawyer). Mr. Vandevelde regularly represents companies and individuals in connection with white collar criminal investigations and prosecutions by federal and state prosecutors, as well as related civil investigations by a wide range of regulators. His substantive areas of expertise include, among others, the Computer Fraud and Abuse Act (CFAA) and related state hacking laws, Electronic Communications Privacy Act (ECPA) Stored Communications Act, Wiretap Act, Economic Espionage Act and related state trade secret laws, False Claims Act, anti-money-laundering statutes such as the Bank Secrecy Act, copyright and patent laws, securities and accounting fraud, tax fraud, government contracting fraud, and health care fraud and compliance. Additionally, Mr. Vandevelde represents clients across a wide swath of industries on cybersecurity and data privacy matters, including proactive counseling and guidance (e.g., table-top exercises, board and management education on cybersecurity issues, policy reviews), data breach crisis management, theft of trade secrets and other intellectual property, computer fraud and hacking issues, and national security and other state-sponsored cyber-attacks. From 2007 to 2014, Mr. Vandevelde served as an Assistant U.S. Attorney in the U.S. Attorney’s Office for the Central District of California. He was Deputy Chief of the Cyber & Intellectual Property Crimes Section, supervising one of the nation’s largest teams of federal prosecutors dedicated to investigating and prosecuting computer hacking and intellectual property offenses. He was the lead prosecutor on numerous high-profile cyber-crime investigations, including cases involving corporate espionage, theft of trade secrets, APTs (advanced persistent threats), botnets, distributed denial of service attacks, SQL-injection attacks, and other sophisticated cyberattacks. Mr. Vandevelde handled the prosecution of several infamous hacking groups that infiltrated dozens of government and corporate servers around the world. Other matters included the prosecutions of a nationwide identity theft ring involving millions of dollars in fraudulent cash withdrawals; importers and distributors of counterfeit pharmaceuticals, electronics, and other consumer goods; a hacker of cellular telephone payment systems; a hacker who infiltrated the website of a publicly traded company to post false press releases in an attempt to manipulate the company’s stock price; and executives at an aircraft parts supplier for selling fraudulent electronics, including to the U.S. military. Mr. Vandevelde also successfully prosecuted numerous traditional white collar cases as part of the Major Frauds Section, including healthcare fraud, mortgage fraud, investment fraud, tax fraud, and government procurement fraud cases, as well as some of the largest Ponzi scheme cases in Southern California. While at the U.S. Attorney’s Office, Mr. Vandevelde first-chaired complex financial fraud, intellectual property, and cybercrime-related cases, and mentored junior prosecutors in numerous other trials. Mr. Vandevelde successfully argued multiple appeals before the Ninth Circuit. He also trained new prosecutors regarding electronic surveillance and data privacy issues. For his work with the government, Mr. Vandevelde received numerous awards and commendations from federal agencies, including the FBI, Secret Service, IRS, and U.S. Postal Inspection Service. Mr. Vandevelde is an active member of the legal community and committed to pro bono work. He is Program Co-Chair of the ABA White Collar Crime Committee, Southern California Region, and serves as a Committee Member of the ABA Subcommittee on Computer and Intellectual Property Crime. He currently serves on the boards of the Los Angeles Center for Law and Justice, which provides direct representation to survivors of domestic violence and families in crises, as well as the Federal Bar Association of Los Angeles. He is also a member of the ABA and the Los Angeles County Bar Association, and regularly volunteers with the Constitutional Rights Foundation. Mr. Vandevelde graduated from UCLA School of Law, Order of the Coif. After law school, Mr. Vandevelde clerked for the Honorable A. Howard Matz, United States District Judge, Central District of California. Rimini Street v. Oracle – Representing Rimini Street, a leading software support services provider, in copyright, software licensing, CFAA, and DMCA litigation concerning enterprise resource planning (ERP) software. Social media company – Led incident response efforts relating to one of the largest data breaches in history, coordinating domestic and international consumer notification efforts, forensic analysis and remediation, public relations strategy, and outreach to law enforcement and regulatory agencies.Successfully avoided regulatory investigations and private class actions. Facebook – Part of international Gibson Dunn team serving as global coordinating counsel defending Facebook in high-profile European privacy proceedings. DraftKings – Represented DraftKings in wide-ranging and high-profile internal investigation and defense of numerous criminal and regulatory investigations, as well as civil actions related to compliance with federal and state gaming laws. Leading nutraceutical company – Led sensitive internal investigation regarding client’s recently acquired subsidiary. Through computer forensics, uncovered evidence that former owners of the subsidiary had fraudulently inflated the purchase price of the subsidiary through a sham construction contract. Obtained $20+ million settlement just three days after filing RICO complaint and confronting the former owners with evidence of the fraud. Leading mobile game developer – Representing developer in breach of contract and commercial fraud-related litigation against former data center provider over misrepresentations regarding its ability to meet service level guarantees. Medical device company – Represented leading medical device company in connection with the theft and misuse of confidential trade secret information by former head of company’s “skunkworks” research and development arm. Engineering design firm – Represented one of the world’s largest engineering design firms in response to network intrusion, involving significant employee data breach. Counseled client on investigation of incident, including supervising digital forensics investigation and data security improvements, coordinated breach notification compliance, public relations strategy, and law enforcement interaction. Transportation company – Conducted internal investigation and made criminal referral to federal law enforcement authorities regarding theft of trade secrets by former employees who left to join competitor. Leading video game developer – Led investigation into major cybersecurity breach involving exfiltration of company’s data “crown jewels.” Quick action led to the arrest of the suspect at the airport and subsequent federal prosecution. Internet and media company – Provided counseling on corporate governance best practices with respect to cybersecurity. Consumer goods manufacturer – Handled law enforcement requests for digital information. Software company – Analyzed viability of claims under the Stored Communications Act (SCA) and the Computer Fraud and Abuse Act (CFAA). Microchip manufacturer – Provided counseling on corporate governance best practices with respect to cybersecurity. Social media company – Provided counseling regarding European Union data privacy litigation matters involving the alleged tracking of unregistered users. Educational software services company – Led crisis management efforts regarding potential cyberattack. Engineering and construction company – Provided counseling in connection with referral to law enforcement regarding cyberattack and data breach. Hospital network – Provided counseling in connection with data breach involving HIPAA-protected information. Solar company – Provided counseling regarding data security issues and drafted cybersecurity incident response policy. Insurance company – Developed cybersecurity-focused remote access and computer use policies. Multinational pharmaceutical company – Provided advice regarding data security issues and drafted incident response plan. Educational institution – Provided counseling regarding notification to students of potential data breach. Private investment firm – Obtained favorable settlement for private investment firm accused by market research company of stealing trade secrets via unauthorized computer access. Software company – Obtained favorable settlement in connection with competitor’s theft of trade secrets via unauthorized computer access. Hospital network – Defending Fortune 500 healthcare services provider in connection with nationwide False Claims Act investigation by DOJ and the Department of Health & Human Services. Educational institution – Defended postsecondary educational institution in connection with consumer fraud investigation by numerous state Attorneys General and the Consumer Financial Protection Bureau (CFPB). Defense contractor – Defending multiple current and former employees of U.S. defense contractor in connection with DOJ investigation into alleged fraudulent billing practices. Chief Financial Officer – Defending former CFO of previously publicly traded company in securities fraud investigation by SEC and parallel criminal investigation by DOJ. Neurosurgeon – Defended neurosurgeon in criminal healthcare fraud investigation involving parallel forfeiture case and medical licensing issues. Home healthcare provider – Obtained dismissal of all charges against client who was alleged to have submitted false claims for payment under California’s In-home Support Services health care program.